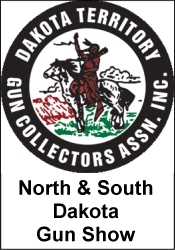 We, at Dallas Arms Collectors Association are dedicated to the encouragement, education and protection of the collecting of arms of all types. Through the exchange of information, we increase the number of collectors, provide the value of historical artifacts and promote historical arms collecting. We produce 5 shows a year, and strive to create a safe and educational environment, to offer everything from collectors firearms, to quality firearms for hunting and sports, pistols for firearms sports and personal protection, and accessories and ammo. We also offer Texas Parks & Wildlife Hunter Education classes, NRA classes when requested, and American Heart Association First Aid, Cpr & Aed, for both civilians, and medical/first responder personnel.